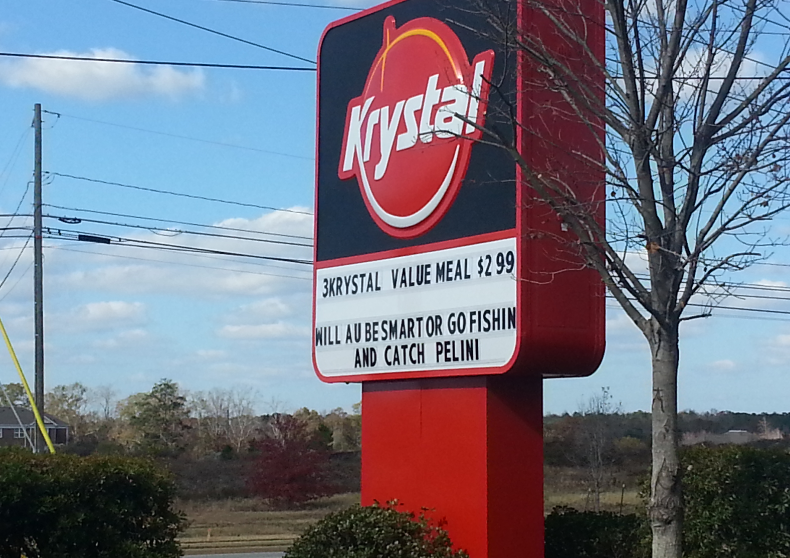 Yep — three Krystals packed into a value meal, three coaching rumors packed on a marquee. You didn’t really think it was going to stop, did you? Gotta love the Auburn Krystal. Keep up the good work, guys!